Riyadh, and Crown Prince Mohammed bin Salman in particular, would approve any kind of “Israeli”-Palestinian deal to finally get rid of this “PR obstacle” and unite with Tel Aviv against Tehran, a former security advisor to Benjamin Netanyahu believes. Despite the reinstatement of pre-1967 borders still being the primary reference point in any discussions for a peaceful settlement between the “Israeli” entity and the Palestinians, Saudi Arabia will likely accept any kind of deal between the rivals, believes Brig. Gen. Yaakov Nagel, who served as Prime Minister Benjamin Netanyahu’s national security director from January 2016 until May 2017. But Saudi Arabia will face a PR problem if it seeks closer ties with “Israel”, so it is ready to endorse any piece of paper as a legitimate deal to claim that the Palestinian issue is resolved and it is time to move on, believes Nagel. “They don’t like [the Palestinians] more than us or less than us. They need to say that there is an agreement in order to take next steps [toward normalization]. So this is still an obstacle,” Nagel said, adding that Crown Prince Mohammed bin Salman is leading the country in the right direction. Relations between the “Israeli” entity and Saudi Arabia have witnessed a seeming rapprochement this month, after Saudi Arabia accused Iran and its regional Lebanese ally, Hezbollah, of meddling in Middle Eastern affairs and arming the Ansarullah revolutionaries in Yemen. “Israel” has long viewed Iran and Hezbollah along the same lines, and a threat to its own existence. Just this week, “Israeli” Prime Minister Benjamin Netanyahu revealed that the entity is covertly cooperating with some Arab nations. Ties with the Arab world, including Saudi Arabia, were also confirmed recently by so-called Energy Minister Yuval Steinitz. Earlier in November, the “Israeli” Occupation Force [IOF] Chief of Staff, Lieutenant General Gadi Eizenkot, told Saudi Arabia’s Elaph newspaper that his country was ready to share “intelligence information” with Riyadh on Tehran. However, despite such unprecedented developments Saudi Arabia firmly rejects reports that it is working with Israel. “The Arab conditions are clear – two states with a Palestinian state whose capital is East Jerusalem [al-Quds]. As for other issues, they can be worked out between Israelis and Palestinians. Arab nations’ position has always supported the Palestinian brothers. That remains the Arab position,” Foreign Minister Adel al-Jubeir told Egypt’s CBC television on Monday. 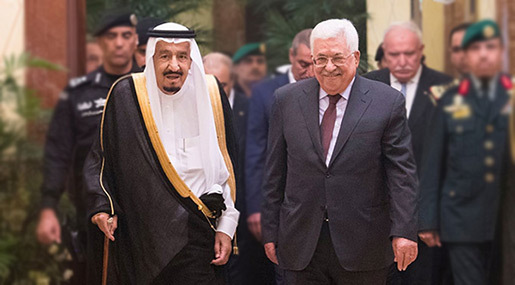 November 14, 2017 “Information Clearing House” – Saudi Arabia’s Crown Prince Mohamed Bin Salman has told Palestinian President Mahmoud Abbas that he has to back Donald Trump’s Israeli-Palestinian peace deal or resign. According to Israeli sources Abbas was offered an ultimatum after he was summoned to Riyadh last week for a meeting with Bin Salman days after Us Presidential advisor Jared Kushner made an unannounced visit to the Saudi capital to meet the young crown prince. The two are reported to have thrashed out a plan in which Abbas seems to have had no say. Riyadh had offered to normalise relations with Israel in 2002 on the condition that it agreed to the two-state formula, which more and more Israeli’s, including Prime Minister Benjamin Netanyahu, have rejected. It’s still not clear what peace deal has been offered to Abbas, but Palestinians will be concerned by Bin Salman’s readiness to rally behind the US President who is described by close associates as the most pro-Israeli president in years. Trump is said to be drafting a deal put together by his son-in-law, Kushner, who is a strong advocate of Israel and his support for the country, say critics, is odd even by American standards. Kushner has given money to Israeli settlements and his family are close friends of Benjamin Netanyahu. The Israeli sources also mentioned that Abbas was instructed to stop any further rapprochement with Hamas; an ultimatum that could jeopardise the reconciliation process between the two main Palestinian rivals. If Israeli sources are to be believed than the ultimatum given by Bin Salman seems to be identical to the one made by Netanyahu who is also strongly opposed to the Palestinian unity government. Though Abbas has rejected the claims made by the Israeli Channel 10, details of the meeting seems to be in line with the Saudi, UAE, Israeli and US vision for the region agreed prior to Trump’s inauguration. It was widely reported that the US gave its backing for the unpredictable young prince while endorsing a regional plan that included unreserved support for Gulf monarchies; revision of the Iran nuclear deal; and a new Israel-Palestine peace plan. The Saudis appear to be fully behind this deal whose blueprint has been drawn up by senior members of Trump’s exceptionally pro-Israeli administration. Since his election, Trump has gone on to describe Saudi Arabia as a “magnificent country” while taking the unprecedented step of visiting the Gulf state in his first official visit, having condemned the rulers during his election campaign. Trump also struck a multibillion dollar deal with the Saudi royals in May. Trump’s new fondness for the Saudi’s saw him backing the Saudi-UAE media onslaught on Qatar and, last month, he announced he was decertifying the Iran nuclear accord. Last week, when Saudi Arabia arrested scores of princes and businessmen in an “anti-corruption” purge, the president also tweeted his support. Palestinians no doubt had hoped that a Saudi crown Prince would be a trusted ally who could at the least present their cause with sympathy. They will be concerned over Bin Salman’s ultimatum, which appears to have been coordinated by people that support Netanyahu’s vision for the region which is nothing more than a “state-minus” for the Palestinians. Saudi document lays out plans for peace with Israel: Foreign Ministry paper allegedly offers peace with the Jewish state in exchange for US pressure on Iran. 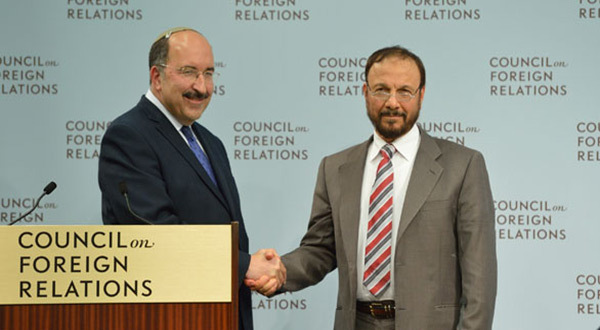 No longer are Saudi Arabia’s normalization statements with the “Israeli” entity surprising. Not a week that passes by without news or expressive stances regarding the warming relation between Riyadh and Tel Aviv circulate, despite official denial of any personal visits to the apartheid entity. Eshki explained that “Prince Turki al-Faisal and I giving lectures to ‘Israelis’ in America, or in any other region, does not mean normalization, especially that we are not officials [officially appointed],” stressing that “Officially, there is not even a handshake with ‘Israel’,” he claimed. 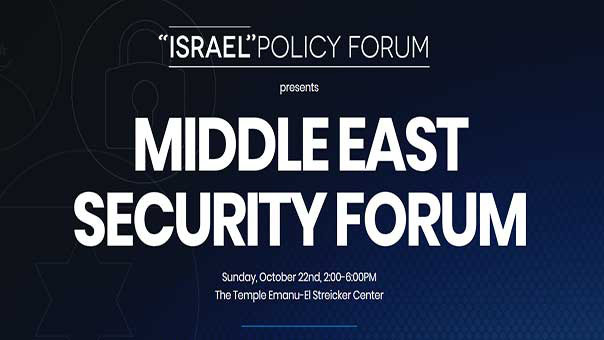 Local EditorThe New York-based “Israel” Policy Forum announced it was organizing on October 22 a security forum under the title: “Middle East Security Forum” with the participation of former Saudi intelligence chief Prince Turki al-Faisal and Saudi writer Nawaf Obeid, as well as retired Zionist generals in the “Israeli” Occupation Force [IOF] led by former Mossad chief Efraim Halevy. 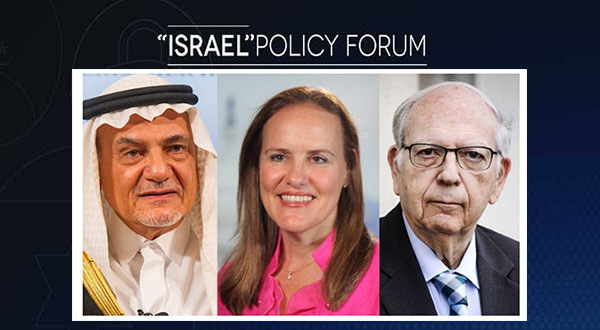 According to the announcement posted on the forum’s website, the participants will discuss Iran’s nuclear program and regional posturing, the “Israeli” entity’s relations with the broader Arab world, the Syrian war, the Wahhabi Daesh [Arabic acronym for “ISIS” / “ISIL”] and regional instability, and the “Israeli-Palestinian conflict. Nawaf Obaid, a Saudi writer and former adviser to the Saudi ambassador to the United States and the United Kingdom. David Halperin, Executive Director of the “Israeli” Policy Forum [IPF]. Udi Dekel, reserve general in the IOF and managing director of the Institute of National Security Studies [INSS]. Ephraim Halevy, former Mossad chief. Shira Efron is the Special Advisor on Israel, RAND Corporation Center on Middle East Public Policy. Elisa Catalano Ewres, former Senior Director for the Middle East and North Africa, National Security Council. Ilan Goldberg, director of the Middle East program at the Center for a New American Security [CNAS]. Nicholas Heras, an American researcher at the Center for a New American Security [CNAS]. Hussein Ibish, Senior Resident Scholar, Arab Gulf States Institute. Frederic Kagan, Resident Scholar and Director, Critical Threats Project, American Enterprise Institute. Kimberly Kagan, US historian and president of the Institute for the Study of War. Colin Kahl, former National Security Advisor to former US Vice President Joe Biden. Michael J. Koplow, Policy Director at the “Israeli” Policy Forum (US). Ariel (Eli) Levitt, an “Israeli” nuclear expert and former Principal Deputy Director General for Policy, “Israel” Atomic Energy Commission. نمر الجمل، اسم جديد ينضمّ إلى كواكب الشهداء، بعد أن نفّذ عملية بطولية ضدّ قوات الاحتلال اليهودي قرب إحدى المستوطنات في القدس، مُردياً ثلاثة جنود صهاينة. العملية البطولية هذه، في الزمان والمكان، تؤشر إلى أنّ أبناء شعبنا في فلسطين المحتلة، يمتلكون الإرادة والشجاعة للقيام بكلّ عمل فيه إقدام وتضحية، ضدّ احتلال صهيوني عنصري استيطاني يمارس كلّ أشكال القهر والإرهاب ضدّ الفلسطينيين من خلال عمليات القتل اليومي، ومن خلال مشاريع الاستيطان والتهويد. من حيث التوقيت تؤكد عملية القدس، أنّ كلّ اتجاه لتحقيق وحدة القوى الفلسطينية وإنهاء حالة الانقسام والتشرذم، يعزّز هذه الإرادة الفلسطينية المقاومة، فيصبح كلّ فلسطيني مشروع شهيد. ولذلك فإنّ هذه العملية لا بدّ أنها ستشكل عامل دفع للقوى الفلسطينية كافة، فتضع نهاية لخلافاتها وانقساماتها، وتتوحّد على أساس برنامج نضالي، ثابتُه خيارُ المقاومة، سبيلاً وحيداً لتحرير فلسطين كلّ فلسطين. كما أنّ العملية تشكل رسالة لكلّ من سار ويسير في ركب التطبيع، لا سيما تلك الدول العربية، التي أعلنت مؤخراً بأنها تتجه إلى إقامة علاقات تطبيع علنية مع العدو الصهيوني. وفحوى هذه الرسالة إلى عرب التطبيع والتخاذل، أن توقّفوا عن التآمر على فلسطين وأهلها، وإعطاء العدو الصهيوني صكّ براءة من دماء الفلسطينيين. ومن حيث المكان، فإنّ العملية تؤكد، بأنّ شعبنا في فلسطين عازم على المقاومة وبذل الدماء والتضحيات من أجل القدس عاصمة فلسطين. ولإسقاط مخطط العدو الرامي إلى تهويدها وتغيير معالمها وطمس هويتها. عملية القدس أمس، لن تكون الأخيرة، لكنّها بالتأكيد تساهم في إعادة توجيه البوصلة في الاتجاه الصحيح، وهو اتجاه مقاومة الاحتلال. وهذه المقاومة إلى تصاعد، بوهج الانتصارات التي تحققها سورية وقوى المقاومة على الإرهاب ورعاته. فالإرهاب هو خط الدفاع الأخير عن العدو الصهيوني، وهو يترنّح ويتقهقر وينهزم… وفي هزيمته هزيمة للعدو. قُتل ثلاثة جنود إسرائيليين وأُصيب رابع «بجروح خطيرة» في عملية إطلاق نار نفذها الشاب الفلسطيني نمر جمل (37 عاماً) من قرية بيت سوريك غرب رام الله، صباح اليوم، عند مدخل مستوطنة «هار أدار» في بلدة قطنة شمال غرب مدينة القدس المحتلة، قبل أن يُعلن عن استشهاده لاحقاً برصاص قوات الاحتلال. وأكدت المتحدثة باسم شرطة الاحتلال الإسرائيلي مقتل ثلاثة من جنود «حرس الحدود»، وإصابة جندي رابع، برصاص فلسطيني على مقربة من بوابة تابعة لمستوطنة «هار أدار»، التي تقع بين قريتي بدّو وقطنة شمال غرب القدس المحتلة، وقرية أبو غوش على أطراف غربي المدينة. ووفق رواية صحيفة «يديعوت أحرونوت» العبرية، فإن فلسطينياً مسلحاً «هاجم قوة من جنود حرس الحدود وحراس أمن عند مدخل المستوطنة، فقتل 3 منهم وأصاب رابعاً بجراح بالغة، قبل استهدافه بالرصاص». وقالت الصحيفة إن العملية وقعت أثناء دخول مجموعة من العمال الفلسطينيين عبر المدخل الخلفي للمستوطنة. أما القناة الثانية العبرية، فذكرت أن «فلسطينياً حضر صباح اليوم إلى إحدى بوابات المستوطنة، وعندما طلبت منه قوة من جنود حرس الحدود رفع ملابسه بعد شكوك بإخفائه شيئاً ما، استل مسدساً كان يحمله وأطلق النار باتجاه 4 جنود من مسافة صفر فقتل ثلاثة وأصاب الرابع بجراح بالغة». وفي حين ذكرت صحيفة «معاريف» أن العملية «شاذة ولا تشبه العمليات السابقة»، تحدثت مصادر عبرية متقاطعة عن أن منفذها متزوج وله 4 أبناء وكان يحمل سلاحاً أوتوماتيكياً نفذ عبره الهجوم، فيما فرض جهاز «الشاباك» الإسرائيلي تعتيماً على هوية المنفّذ. وفي هذا الإطار، نقلت «وكالة الصحافة الفلسطينية» عن تلك المصادر قولها إن «المهاجم متمرس على إطلاق النار»، ذلك أن رصاصاته «تسببت بقتل 3 جنود وإصابة رابع، كما لوحظ استهدافه للمناطق العلوية من الجسم، الأمر الذي يفسر مقتل الجنود الثلاثة». 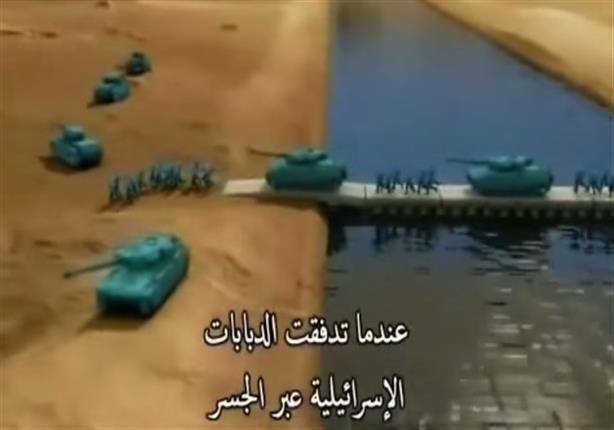 واللافت، بحسب تلك المصادر، هو أن الشهيد حصل على تصريح عمل إسرائيلي، يستدعي إصداره إجراءات تدقيق أمني. وهو يختلف بذلك عن معظم الفلسطينيين الذين نفذوا عمليات مشابهة بدأت قبل عامين. من جهة أخرى، أعلنت وزارة الصحة الفلسطينية أنها أُبلغت رسمياً باستشهاد فلسطيني يدعى نمر جمل، عقب إطلاق قوات الاحتلال النار عليه، شمال غرب القدس المحتلة. وسمحت الرقابة الإسرائيلية، صباح اليوم، بكشف النقاب عن هوية قتلى العملية، وتبين أن أحدهم عنصر في «حرس الحدود»، في حين قتل عنصرا أمن يتبعان شركة خاصة في العملية، أما المصاب فهو ضابط أمن المستوطنة. في غضون ذلك، ذكرت وكالة الأنباء الفلسطينية «وفا» أن آليات وقوات كبيرة من جنود وشرطة الاحتلال هرعت إلى المنطقة، وشرعت بفرض طوق عسكري تمهيداً لاقتحام قرى شمال غرب القدس المحتلة، خاصة بلدتي قطنّة وبدّو. وأشارت إلى أن جنود الاحتلال أغلقوا حاجز بيت أكسا شمال غرب القدس، ومنعوا حتى الحالات المرضية من مغادرة القرية. وفي وقتٍ لاحق، أصدر رئيس الوزراء الإسرائيلي، بنيامين نتنياهو، تعليمات لحكومته بهدم منزل الشهيد جمل، وسحب أي تصاريح عمل لأقاربه. سيكفي “النظام” السوري فخرا أنه وبرغم كل ماقيل من تزوير ومن اتهامات فانه اثبت أنه لايفرط بذرّة تراب سورية وأنه يتفوق على المعارضة في الشعارات والممارسة ويتجاوزها بمئات الأميال كرامة واستقلالا وحرية وعنفوانا وولاء للوطن ولتراب الوطن ..
ولعل في لواء اسكندرون والجولان أكبر مثال على أن الأمم الحية لاتتخلى عن ترابها الوطني مهما طال الزمن ولا توقع على صك تنازل عن شبر واحد .. فالاسرائيليون والامريكان قدموا كل شيء للرئيس الراحل حافظ الأسد من اجل أن يتنازل فقط عن متر واحد فقط على شاطئ طبرية الشمالي ليصبح ماء طبرية ملكا لاسرائيل ولكن الأسد غضب غضبا شديدا في آخر لقاء مع كلينتون وقال لمن حوله اذا لم يسترده جيلنا فالجيل الذي يلينا سيسترده .. ولكن لن نسلم من بعدنا جولانا ناقص السيادة والتراب ..
وفي مذكرات لواء اسكندرون جاء اللص أردوغان الى دمشق وعانق الجميع .. وذهب الأسد الى استانبول وعانقه الجميع ولكن لم يتمكن الأتراك رغم كل المجاملات والمسرحيات من الحصول على اعتراف سوري واحد بملكية تركية لذرة تراب في اللواء ولو بحكم تقادم الزمن والأمر الواقع .. وظلت أنطاكية مدينة سورية رغما عن طرابيش كل خلفاء بني عثمان ..
منذ مئة عام لم نطلق طلقة واحدة على جبهة اللواء ولكننا لم نعلم أولادنا الا أن اللواء سليب ومسروق مثله مثل فلسطين .. وأن الخرائط السورية لاتعترف بخرائط تركيا والعالم .. كي لايموت اللواء في الذاكرة والضمير .. لأنه يوما سيعود حتما .. ولايهم ان ألحقه العالم بخارطة تركيا أو آلاسكا طالما انه لايزال ملتصقا بضميرنا وذاكرتنا ووجداننا الوطني ..
ومنذ اربعين سنة لم نتمكن من أن نطلق طلقة على الجولان ولكن عجز الاسرائيليون عن أخذ السوريين الى طاولة تنازلات وهم الذين أخذوا الزعماء العرب الى طاولات التوقيع والبصمات حيث بصموا ووقعوا تنازلات مهينة ومشينة بمن فيهم الفلسطينيون .. وحده السوري لم يجد الاسرائيليون طاولة تنازل على مقاسه الكبير حتى اليوم .. رغم الحرب الكونية التي كانت احدى غاياتها هي ارغام القيادة الحالية على قبول مارفضه حافظ الأسد أو تصنيع قيادة سورية تؤخذ كي تبصم وتوقع على ماتريده اسرائيل جملة وتفصيلا كما فعل غيرها في قوافل البصمات والتوقيع ..
من طرائف المعارضة السورية أنها من أغبى المعارضات التي عرفتها حتى اليوم .. وخطابها فيه بعض الخفة والدعابة .. ولذلك لاغرابة أن مشروعها سقط رغم أن ماحظيت به من دعم العالم واستنفار كل طاقات الحرب والفوضى الخلاقة كان كافيا لأن يطيح بالنظام العالمي وبعائلة روتشيلد .. واذا امسكت بيانا واحدا لها في الصباح وآخر في المساء لايمكنك أن تعرف ماذا تريد .. فهي مثلا دأبت على وصف النظام السوري بأنه باع الجولان .. ولكن على الأرض فان الواقع يقول بأن المعارضة تبعد جيش (النظام) السوري عن الجولان وتدمر دفاعاته وراداراته التي تهدد حركة الطيران الاسرائيلي .. بل ان المجاهدين المسلمين يفصلون بأجسادهم ولحومهم بين الجيش السوري وبين الجيش الاسرائيلي الذي تحول الى حليف لاغنى عنه لهم ولاعن مستشفياته وذخائره وامداداته وغاراته الجوية على الجيش السوري الذي يقوده (النظام الذي باع الجولان) .. ومع ذلك فان البعض يقسم لك بشرف أمه وأنت تجادله أن بقاء النظام السوري صامدا حتى اليوم هو بسبب أن اسرئيل متمسكة به جدا ليحميها لأنه لم يطلق طلقة عليها منذ اربعين سنة .. وان اسرائيل لاتفرط بهذا النظام وتتآمر معه على الثورة التي تتعرض للهزيمة بسبب اسرائيل .. وينسى المعارض أن المعارضة لم تكتف بأنها لم تطلق النار أيضا على اسرائيل بل شاركت اسرائيل في اطلاق النار على الجيش السوري وقصف جنوده وآلياته وتدمير دفاعاته الجوية ..
ويعلو صياح احدهم وهو يصف النظام بأنه فرط في الأرض والكرامة بل ان اتفاق أضنة قد تضمن التنازل عن لواء اسكندرون .. ولكن على الواقع تجد ان الدنيا قامت ولم تقعد داخل صفوف الوطنيين السوريين بسبب خارطة سورية التي لم تتضمن اللواء السليب فيها .. فيما المعارضة تصف اللواء بأنه أرض تركية تدعي الدولة السورية ملكيتها لها ..
فجميع أطياف المعارضة السورية صمتت صمت القبور عندما أقر رياض الشقفة زعيم الاخوان المسلمين السوريين بأن لواء اسكندرون ليس سوريا بل هو اقليم هاتاي التركي وقال بأن لاحقّ لسورية في أرض صارت تركية !! ..
(( أثارت المناهج الجديدة التي أقرّتها الحكومة السورية ردود فعلٍ غاضبة بين الموالين خاصة بخصوص ما ورد في كتاب علم الأحياء والبيئة للصف الأول الثانوي الذي احتوى خريطة لسورية مقتطعا منها لواء اسكندرون (أي ولاية هاتاي التركية) التي تعتبرها الحكومة السورية أرضا سورية تحتلها تركيا )) ..
ويمكنك أن تلاحظ ان الخبر يريد أن يقول بأن مطالبنا بملكية اللواء هي مجرد مزاعم .. وأن اللواء هو (هاتاي التركية) .. وبمعنى آخر فان سورية تريد الاعتداء على الأراضي التركية التي حررت (هاتاي) عام 1939 من الاحتلال السوري !!. (( أثارت المناهج الجديدة التي أقرّتها حكومة “النظام” ردود فعلٍ غاضبة بين الموالين خاصةً بخصوص ما ورد في كتاب علم الأحياء والبيئة للصف الأول الثانوي الذي احتوى خارطة لسوريا مقتطعاً منها مرتفعات الجولان الاسرائيلية (التي تتبع ملكيتها لسلالة الملك داود) .. التي تعتبرها حكومة النظام أرضاً سورية تحتلها اسرائيل )) !! (( أثارت المناهج الجديدة التي أقرّتها حكومة النظام ردود فعلٍ غاضبة بين الموالين خاصةً بخصوص ما ورد في كتاب علم التاريخ والجغرافيا للصف الأول الثانوي الذي احتوى صورة للمسجد الأقصى (أي لمعبد الهيكل الاسرائيلي) مقتطعاً منها قبة الصخرة التي تعتبرها حكومة النظام ملكية اسلامية وتروج قصة مفبركة عن اسراء النبي ومعراجه الى السماء من هناك .. كما أثارت المناهج الجديدة التي أقرّتها حكومة النظام ردود فعلٍ غاضبة بين الموالين بخصوص ما ورد في الكتاب عن اسرائيل التي يسميها اعلام النظام (فلسطين المحتلة) في محاولة سافرة من اعلام النظام الاعتداء على أراضي اسرائيل التاريخية ))) ..
في النهاية كلمتان مختصرتان .. ليس من لايطلق الرصاص على العدو هو من يقتل الخرائط وهو الخائن .. بل ان من يطلق الرصاص على أجساد الخرائط ويسلخ خطوطها عن خطوطها ليبيع لحمها هو العدو وهو الخائن وهو من يطعم العدو من لحمنا كي يعيش هذا العدو ..
الجولان سيعود .. واللواء سيعود كما عادت حلب ودير الزور .. الخرائط في عقولنا ومرسومة على جدران قلوبنا وفي جيناتنا الوراثية .. وسننقلها من جيل الى جيل .. فاذا مر خونة عابرون من هنا أو هناك فلا يهم طالما بقيت الخرائط في الدم .. لأن مايبقى هو الخرائط التي تسكن الدم .. ولاتموت الا خرائط الدم التي توزعها علينا مكاتب الاستخبارات ووزارات الخارجية الغربية .. وأحفاد سايكس وبيكو ..
تذكروا أنه لاشيء يقتل خرائط الدم الاالخرائط التي تسكن الدم .. وأنه لايسفك دم الخرائط الا من يطعنها بصكوك البيع .. ولاتنزف أجساد الخرائط الا عندما تذبحها سكاكين الخيانة والتنازلات ..